This week’s image: Parliament Street construction is finished. It’s amazing - when the City wants to hurry, the job gets done! Bike riders know when a road is really bumpy. That certainly was the story on River Street and on Parliament north of Wellesley. Not any more. The construction work is finished. The roads are now dreamy smooth. The work on Parliament came in well ahead of schedule. The bike lanes on River are between the parked cars and the curb, creating a nice safe zone. 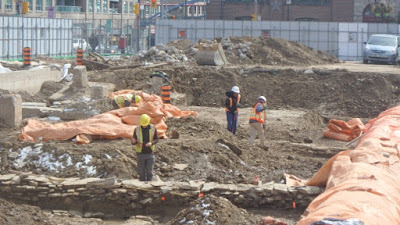 The bigger dig at Parliament and Dundas is done as well and traffic is flowing through there in all lanes. The Association grapples with some tough issues facing its community and handles them carefully and (where possible) with good humour. This meeting covered several big topics. The guest speaker, Glenn Russell from ADT Security Services, talked about security and camera systems for home protection. He described available equipment and cost ranges. 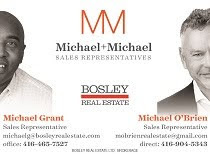 There also were discussions about two current building applications on Gerrard, about the City of Toronto’s new green bins and about the new Ward boundaries for the 2018 municipal election - details on each of these below. Two projects have been proposed for Gerrard between Sherbourne and Parliament. 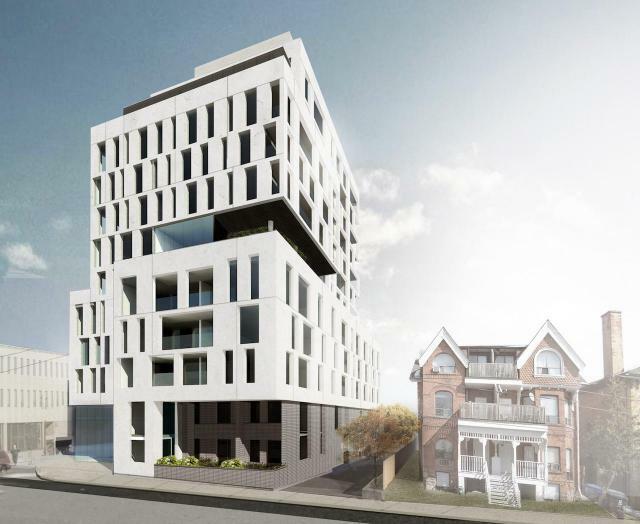 Oben Flats has applied for a 13-storey, 94-unit condo on the southeast corner of Sherbourne and Gerrard. At the Cabbagetown South meeting, local residents complained that discussions have stalled. 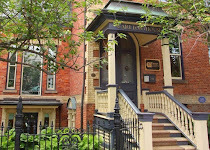 Even though a neighbouring heritage property is affected, Toronto Preservation Services has not returned calls. Neither has the developer. 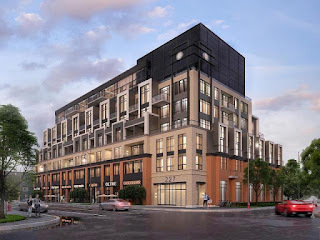 Redevelopment of the Beer Store site at Gerrard and Ontario has involved meetings between the local community and the developer. The developer’s staff have been helpful during these meetings. The original 9 storey height may be reduced to 6 storeys. The Beer Store itself is still a problem for the community and efforts are underway through Glen Murray’s office and the City’s planners to see if a smaller store is possible. At this time, the discussions about the building are focused on height and density. Other specific issues with the building design will be handled later. Throughput the Fall, the City is rolling out new green bins for organic waste disposal. They’re bigger than the old ones - they hold 97 litres (versus 47 for the old ones). Click here to see the City’s fact sheet about the bins and the rollout schedule. 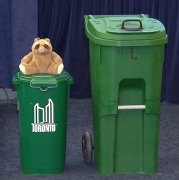 Mayor John Tory promised that these new bins will be a key ingredient in the war against marauding raccoons. Residents on Ontario and Alpha are part of a pilot study looking at possible problems with bin storage and with landlocked houses. The Association previously did a survey asking its members about their experiences and opinions. 30% of local residents dislike the new bins and will stop using them - diverting their waste into landfill garbage instead of recycling it. 85% want to continue with the current smaller design. Click here to see the questions, responses and comments from this poll. The City has been redrawing the boundaries to create municipal Wards that are roughly equal in size. The new boundaries have been accepted by City Council (click here). The current Ward 28 will become Wards 21 and 23. 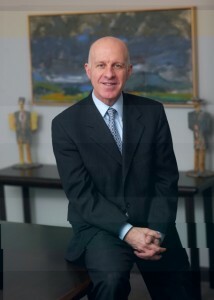 Ward 21 runs from the lake north to Shuter and from Yonge east to the Don Valley. Ward 23 goes from Shuter north to the Rosedale Valley Road and from Jarvis east to the Don Valley. We’re now in an appeal period when Council’s decision can be taken to the OMB. If the OMB makes its decision before a late winter deadline, the new boundaries will be used in the 2018 election. 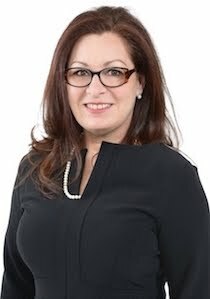 Our current Ward 28 is represented by Pam McConnell. She has not indicated whether she will be seeking reelection in the southern or northern one. Chad showed up last Tuesday from Aurora despite the rain to offer Speakeasy’s tempting condiments. 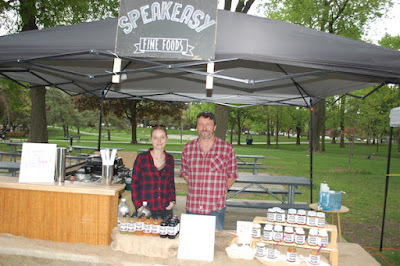 He’s got “Shrubs” that are perfect in cocktails, soda streams and dressings - they come in strawberry, blackberry balsamic, mango, peach ginger and blueberry thyme flavours. 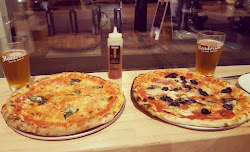 Try out his sodas, artisan cheese, pastas and preserves. He also makes a knockout quesadilla right on the spot at his tent. He’ll be here every Tuesday through the season. 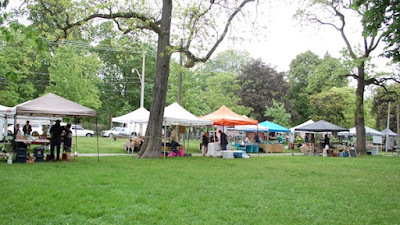 An all-important reminder - the Cabbagetown Farmer’s Market is a rain or shine event. 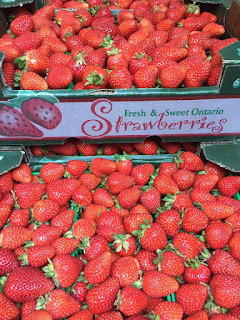 In fact, the hardy customers who came by last Tuesday enjoyed really good samples of early season produce. Every Tuesday afternoon from 3 to 7 pm, in Riverdale Park at the corner of Winchester and Sumach. Alicia Porter is going to rappel down the side of Toronto City Hall on Friday June 9 at 2 pm. She’s afraid of heights but she’s going to do it anyway. She’s part of The Local GEST Team who are raising funds for the Make-a-Wish Foundation to earn their spots in the event. 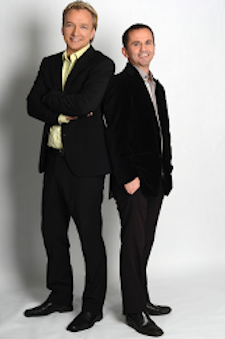 Two others from The GEST will be climbing down as well - Gary Jordan and Steve Potts. Make-a-Wish Foundation provides gifts and experiences for children with life threatening medical conditions. 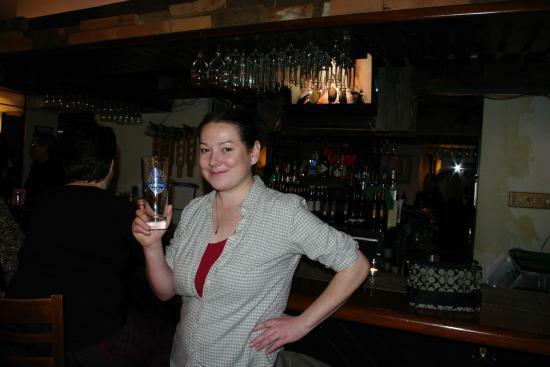 The pub’s target is $4,500 and Gary hopes to double that amount. 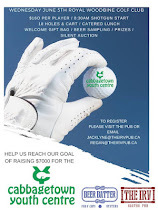 If you’d like to make your gift, drop in to The Local GEST (424 Parliament) or click here. 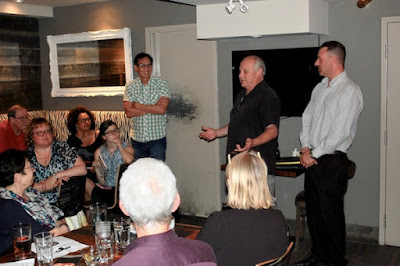 The Association’s annual meeting happens on Thursday June 15 from 7 pm at Stout Irish Pub (221 Carlton). It’s the CRA’s 50th anniversary party. Membership is $20/family and can be renewed at the door. Enjoy Stout’s tasty food, cake and a free adult beverage. The meeting will elect next year’s Board of Directors, review the past year’s work and cover the Association’s business. There’ll be plenty of opportunity to meet your friends and enjoy a good gossip. 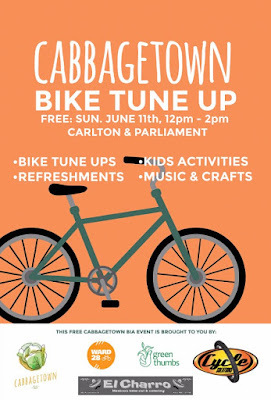 The Cabbagetown BIA together with Cycle Solutions (444 Parliament) is organizing a bike workshop on Sunday June 11 from noon to 2 pm. Bring your bike for a simple checkup. Enjoy some munchies from El Charro Mexican Restaurant (582 Parliament). 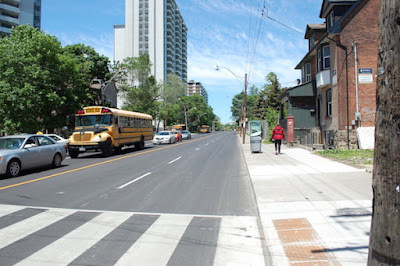 Green Thumbs and Cycle Toronto Ward 28 will offer kids activities. It all takes place on the corner of Carlton and Parliament. 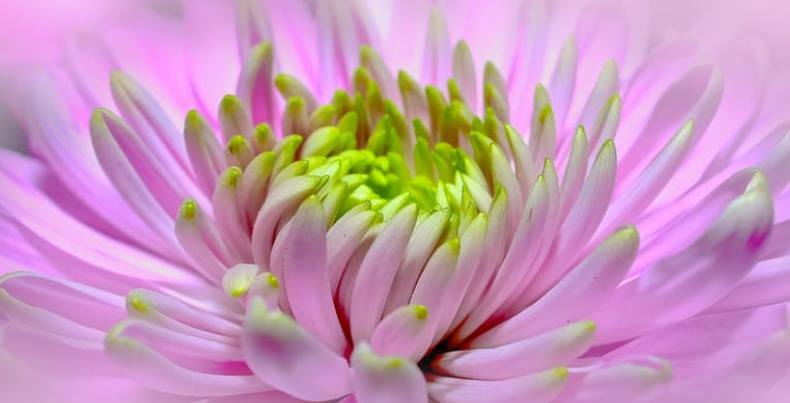 Allan Gardens’ summer show launches on June 11 and continues through the summer. Look for the newest varieties of several annuals including coleus, geraniums, impatiens and more. Open daily from 10 am to 5 pm, free admission, Allan Gardens Conservatory (Carlton and Jarvis). From June 8 to 17, Waterfront Toronto is offering four different walking tours of the waterfront. 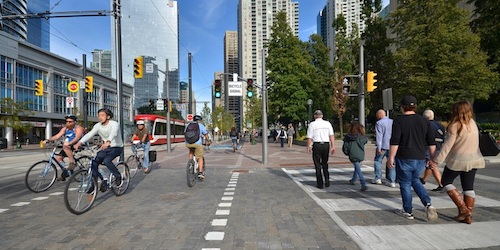 On June 8 and June 13 at 7 pm, there’s a 90-minute tour of the Queens Quay revitalization. The starting point is the Simcoe WaveDeck (lower Simcoe and Queens Quay). On Saturday June 10 at 11 am, take a 75-minute walk through Corktown Commons. Meet at the Pavillion on the hilltop. On Thursday June 15 at 7 pm, visit the public art in the West Don Lands. Start at Underpass Park. On Saturday June 17 at 11 am, walk through the central waterfront to explore its history. Start at 60 Harbour Street. The walks are free. 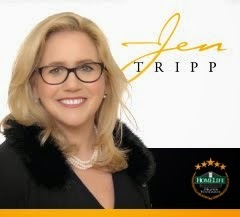 Register at Eventbrite. ROMWalks are guided walking tours organized by the Royal Ontario Museum. 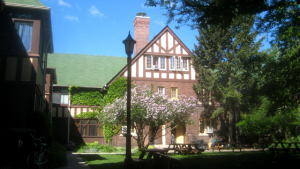 Two local tours are scheduled for our sites over the summer. St James Cemetery covers Toronto’s oldest operating cemetery including its chapel, a national historic site and the graves of notable and notorious citizenry. The starting point is at the cemetery gate (Parliament north of Wellesley) on June 18, July 19 and September 17. 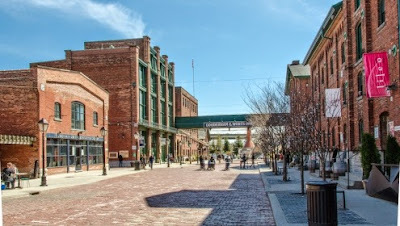 Whiskey, Wharf & Windmill goes through the Distillery District to discover commercial, industrial and residential buildings from the historic Town of York. Starting point at St Paul’s Basilica (Power and Queen). The walk will be offered on June 25, August 2 and October 15. Kendall & Co's (54 Parliament) outdoor rugs keep the party going, rain or shine. Perfect for this season’s backyard entertaining and cottage living. 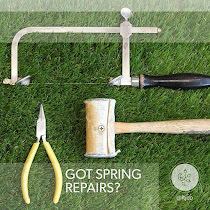 Made of durable, mould and mildew-resistant synthetic fibres that are safe on wood decks and patios. Check out Kendall’s website for available styles and sizes. 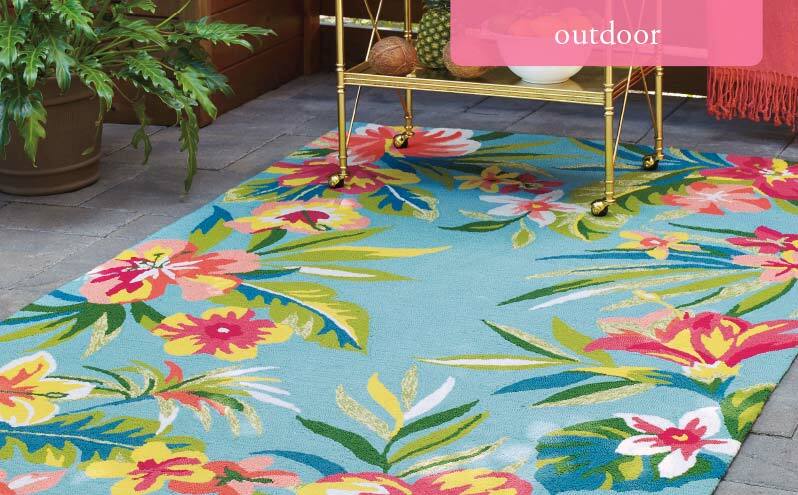 http://kendallandco.ca/fyi/retail/outdoor-rugs Plus …. select wool rugs are now 25% off and floor models are 60% off! Kendall & Co is your one-stop-shop for furnishings, lighting and decorating - open from 10 am to 6 pm on weekdays and 11 am to 5 pm on Saturdays. 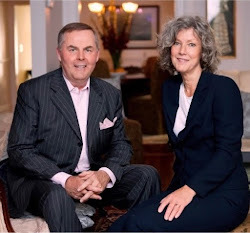 Renovate - Rebuild: From planning to financing. The seminar is aimed at people who plan to renovate their homes, especially for those who are unsure about where to start and what they need to consider. 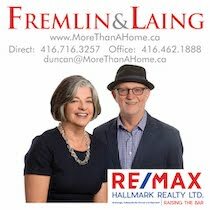 Thursday, June 15, 7 to 8:30 pm, light snacks, MerryBerry Bistro (559 Parliament). 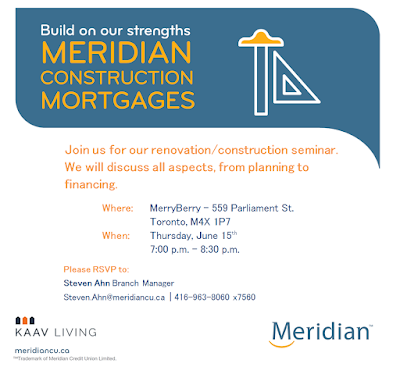 Please RSVP to Steven Ahn, stevenahn@meridiancu.ca, Meridian Credit Union (486 Parliament). 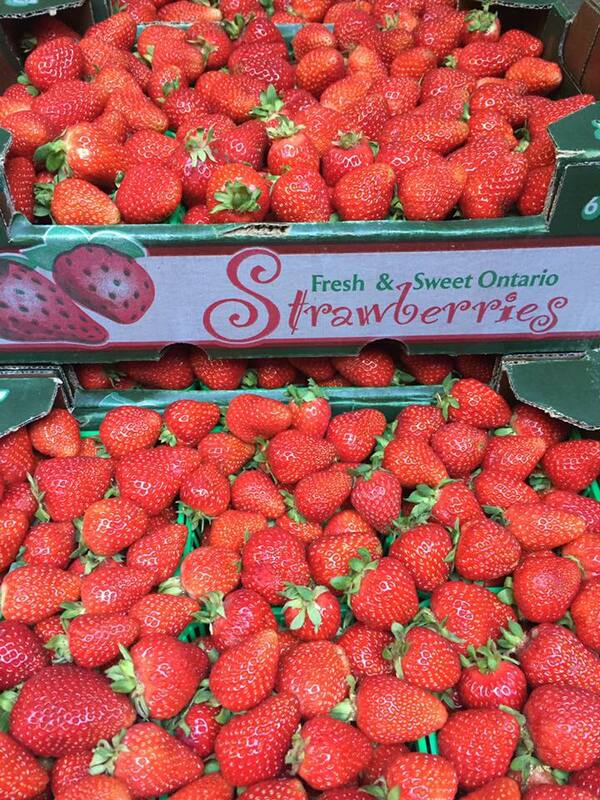 Mark at St Jamestown Steak & Chops is getting regular supplies of yummy Ontario Spring strawberries. Veronica Appia has written a story in Inside Toronto about the places where the largest number of parking tickets are issued. 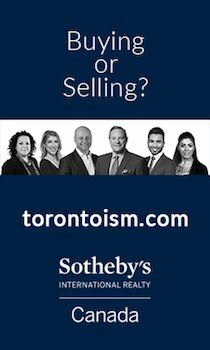 70 Mill Street in the Distillery is #11 on the list of Toronto's top 16 spots. She’s also included a handy chart detailing the parking offences that do not require City signage. Click here to read her story. The new north Market building has been delayed by the discovery of historic objects buried on the site. They date from the early 1800s and include a jar belonging to the guy who invented Canada Dry. Pam McConnell describes the finds and their importance in this CBC report. The Co-op relies on federal funds to provide a rental subsidy for its lower income residents. 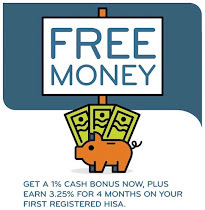 The Co-op also has a mortgage through CMHC but as current mortgage rates have dropped, there’s now a significant opportunity for a major savings with a different mortgage. CMHC will allow it to renegotiate its mortgage but if the Co-op does this, the subsidy will end in 2021. If the Co-op does nothing, it will lose the savings but extend the subsidy to 2025. Emily Mathieu has written a story in the Toronto Star about this problem and its impact on over 125,000 co-op residents across Canada. Thanks to the Cabbagetown Residents Association for the info about this story. Click here to read it. 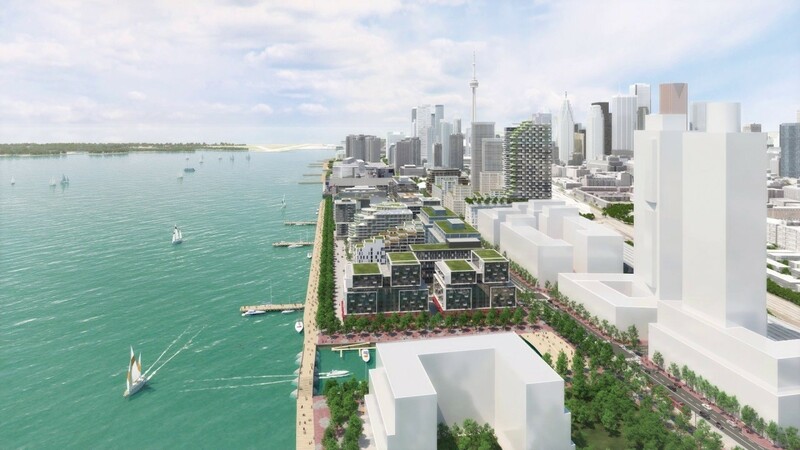 Waterfront Toronto has unveiled its ideas for an innovative new community located at the east end of Queens Quay. 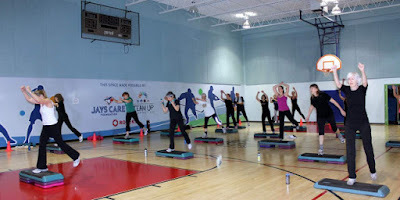 Its blog offers a description of the concepts used to plan this area. A group of Metis women has planted a small area in Allan Gardens. They’re members of the Metis Women’s Talking Circle and they’re growing traditional herbs and medicines. CBC News did a story about their project. 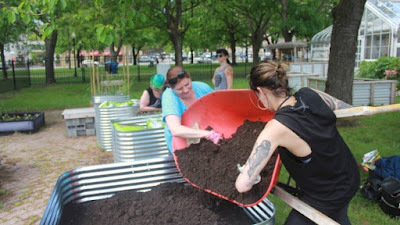 Red Dress productions will present Drift Seeds: A Poetic Parody for People Living in Absurd Times in Winchester Park (Ontario and Prospect) on Friday June 9 and Saturday June 10 at 7 pm and Sunday June 11 at 3 pm. It’s a multi-disciplinary, multi-sensory theatrical production with over 100 musicians, dancers, singers and puppeteers. There’ll be puppets, a saxophone, complicated costumes, an electric guitar and lots more. Free admission. The artists of Aanmitaagzi - the community and artists of Nipissing First Nation/North Bay - explore historic indigenous serpent stories and figures. Tickets and info here. 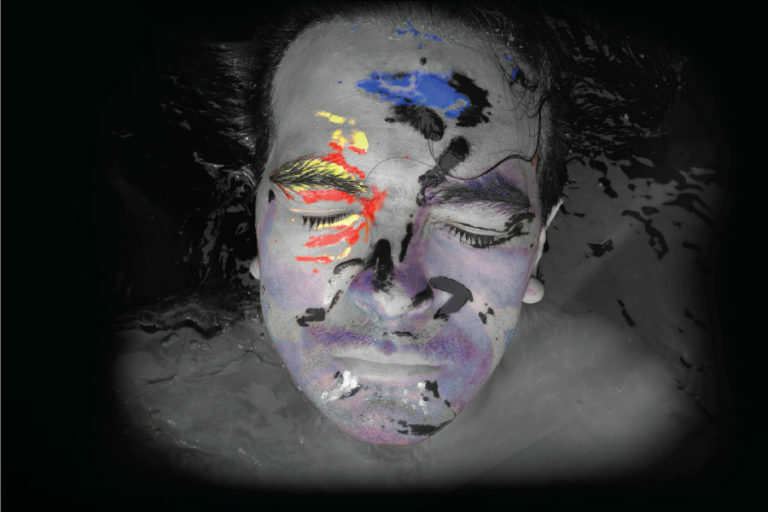 Part of the Bright Nights series by Coleman, Lemieux et Compagnie. June 15 to 17, The Citadel (304 Parliament). Each Saturday through the summer, the Distillery presents live music from its Trinity stage. On Saturday June 10 from 2 to 6 pm, it’s Allison Brown and Sean Conway. On Sunday June 11 at 2 pm, Suzie Vinnick and at 4 pm, Piper Hayes. 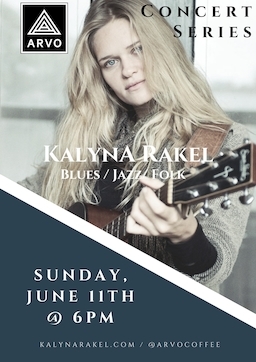 The latest of Arvo’s Concert Series performances happens on Sunday June 11 from 6 pm with Kalyna Rakel (vocals and guitar) and George Chenery (upright bass). Jazz, blues and folk. Arvo Cafe (17 Gristmill Lane, Distillery). Stout Irish Pub (221 Carlton) has a big reputation for its fine selection of craft beers. 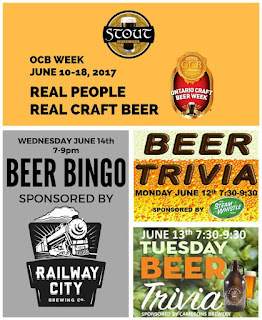 During Craft Beer Week, Stout has announced three special events. 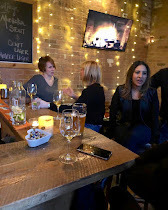 On Monday June 12 from 7:30 pm, Steamwhistle sponsors Beer Trivia night. 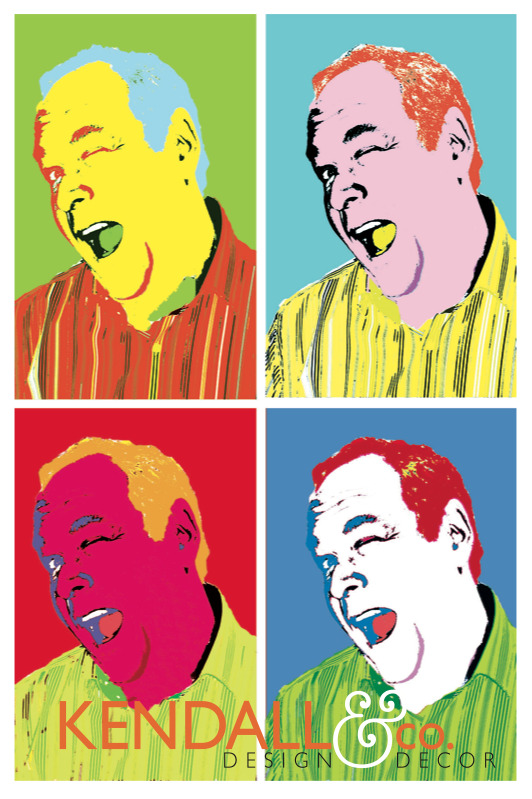 On Tuesday June 13 from 7:30 pm, it’s Cameron’s turn to sponsor Beer Trivia. 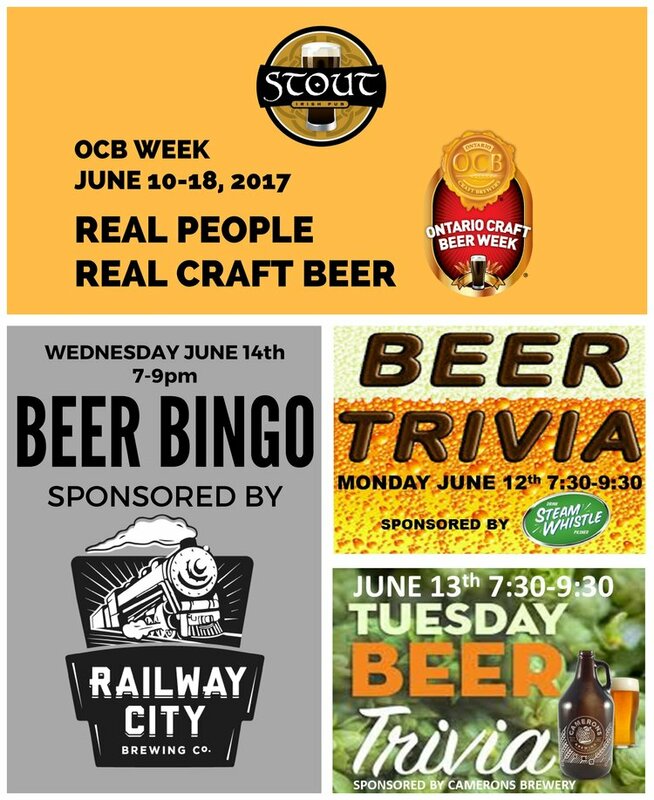 On Wednesday June 14 at 7 pm, Railway City hosts Beer Bingo night. Porgy & Bess - on stage to June 9.